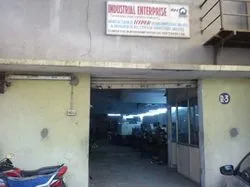 Industrial Enterprise is established in the year 2003, located at Ahmedabad, Gujarat (India). Since our inception, we have been engaged in manufacturing brand HYPER and exporting a wide range of Industrial Valves to our customers. Our range of these valves includes Forged Steel Valves, Ball Valve, Cast Steel Check Valve, Globe Valve, Check Valve, Cast Steel Globe Valve, Cast Steel Gate Valve, Cast Steel Ball Valve, Forged Steel Gate Valve, Cast Steel Valve, Carbon Steel Valve, etc. We are supported with a spacious infrastructure facility that is managed by a team of personnel who are highly qualified and experienced. Our product range is manufactured using premium quality materials and in our advanced and well-equipped manufacturing unit. We have created a strong foothold in the market for our products. Our attempt to keep our customers at precedence has been achieved by keeping us one step ahead of our opponents. 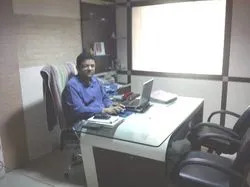 Under the guidance and supervision of our director, Mr. Hiren Panchal, we are able to offer an unmatched range to our clients. His industry experience and ability to cater the demands helped us in offering defect free range to our clients. We also strive for complete “Customer Satisfaction” and synergize our capabilities as well as resources to achieve the same. Hence, we continually improve upon the quality of our valves and services and endeavor to create value for our customers. 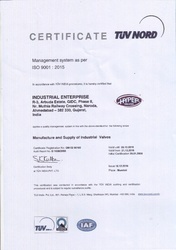 As we are a quality conscious organization, we offer a defect free range of Industrial Valves to our clients. We have a dedicated team of quality testers who check the quality of these valves on various parameters. With the stringent quality checking techniques we ensure that the products offered by us are free from defects. We also provide training to our team to keep them updated with the latest trends and technologies. Being a client centric company, we aim in offering an unmatched range of valves to our clients across the nation. 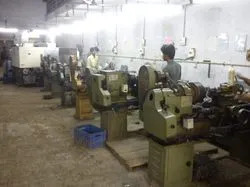 Backed with the innovative quality checking techniques we ensure that the products are free from defects and are made according to the specifications of the clients. Owing to our ethical business policies and competitive prices, we have gained a vast client base across the nation. We accept easy modes of payments from our clients to offer a hassle free transaction to our customers. 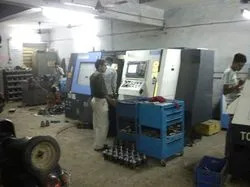 We are backed by a spacious manufacturing unit, which is spread across a wide area and equipped with advanced and latest machinery. In this unit our products are well placed and arranged accordingly. We have a team of experts who are highly qualified and experienced to manufacture these valves using standard quality materials and according to the requirements of the clients. Moreover, owing to the best features of this unit, we meet the bulk demands of our clients within the dedicated time frame.